No one wants to have the tough discussion about how to make sure Social Security is fully funded for decades to come -- including the 2016 presidential nominees. There is, however, a lot of eagerness to talk about how to make the program more generous to those who need it most. Democrats have proposed a number of ways to expand Social Security benefits. Hillary Clinton has publicly embraced two of them -- expanding benefits for lower-income widows and unpaid caregivers. 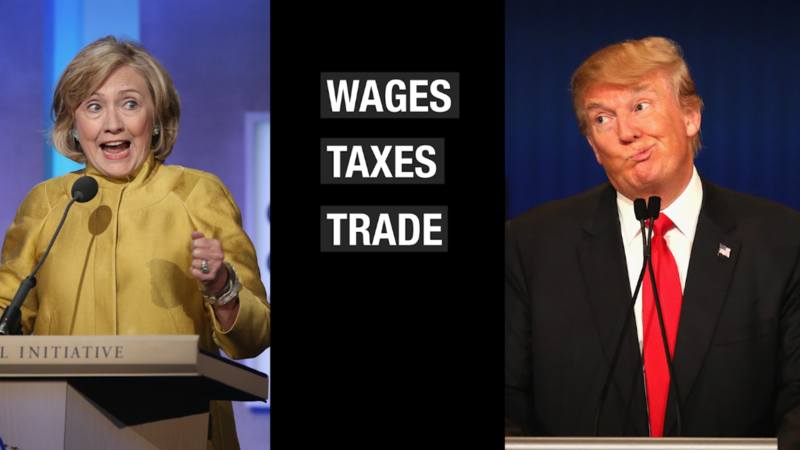 As with most of her other proposals, Clinton plans to raise taxes on the rich to pay for it. Today, when one spouse in a retired couple dies, the surviving spouse sees a drop in what had been their joint monthly Social Security income. For example, say a couple receives $2,400 a month in combined benefits -- $1,200 for each spouse based on their individual earnings records. When one spouse dies, the other would only receive $1,200 -- or 50% of the couple's joint benefits. Even though the surviving spouse's expenses may drop somewhat, they're unlikely to drop by half. For couples whose individual benefits are not identical, the surviving spouse would receive a monthly check that typically represents 60% to 70% of the couple's joint income from the program. Clinton would like to bolster what widows or widowers get to ensure they don't experience financial hardship or fall into poverty simply by virtue of a partner dying, according to a campaign official. How much she'd do so isn't clear. Her campaign says she'd work with Congress to establish the parameters. But previous proposals would limit the drop to between 67% and 75% of a couple's joint Social Security income, according to Ben Veghte, vice president for policy at the National Academy of Social Insurance and Marc Goldwein, senior policy director of the Committee for a Responsible Federal Budget. And to ensure the rule would only protect lower-income retirees, some proposals would also cap the dollar amount of the surviving spouse's benefits. Your Social Security retirement benefits are determined based on your 35 highest earning years. If some of those 35 years are zero-earning or very low-earning years -- as they are for those who stay home full-time or part-time to care for children or a disabled or ill family member -- that will lower their Social Security benefits in retirement. Clinton hasn't specified how her proposal would work yet, but it's not a new idea. Democratic bills introduced in the House and Senate, for instance, would assign Social Security credits for unpaid caregiving for up to five years to increase the caregivers' benefits in retirement. Today, the first $118,500 of wages are subject to the 12.4% Social Security tax, half of which (6.2%) is paid by employees and half by employers. Under Clinton's plan, she'd also apply that tax to at least some income over $250,000 as well. In addition, she would apply the payroll tax to income not currently subject to it. The campaign didn't specify, but presumably investment income could be hit. These are also the only solutions Clinton has publicly endorsed as a way to cure Social Security's long-term shortfall. By 2034, barring any changes, the program will only be taking in enough revenue to pay 79% of promised benefits, according to projections by the Social Security trustees. Clinton has said she doesn't favor other solutions, such as cutting benefits or raising taxes on the middle class, raising the retirement age or using a more stringent formula to figure annual cost-of-living adjustments. Taxing the rich is also the way Clinton has chosen to fund her non-Social Security proposals, which include infrastructure spending and providing free tuition for in-state students at public schools. But leaning so heavily on high-income Americans to pay for everything has two potential shortcomings. It will be a tough sell if Republicans remain the majority in the House or Senate. And it will limit how much more the rich can be tapped to pay for anything else that may come up.